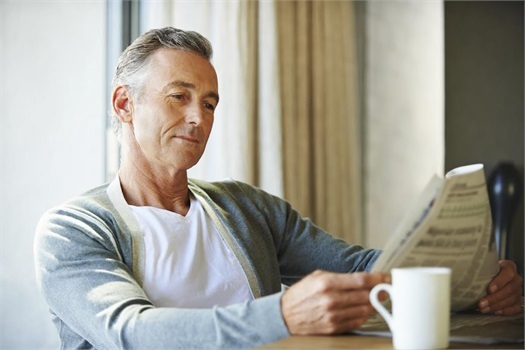 At Lifetime Financial Growth, we take an evidence-based approach to investing, which we believe can lead to increased results for our clients. We offer a company-sponsored financial wellness program, Wealth Steps, that introduces employees to essential personal finance concepts from a unique balance sheet perspective. Often, people think that simply by having a financial plan in place, they can achieve their hopes and dreams. However, we’ve learned that without coaching and accountability, most people don’t end up making the changes they intend to make. As a result, their plan falters and they have trouble pursuing their goals and staying on track. 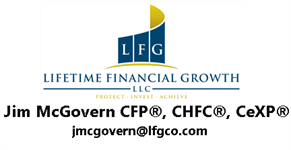 Jim McGovern, and his team at Lifetime Financial Growth, LLC, have developed a unique and interactive coaching program designed to help you make continuous progress toward your objectives. Since 2002, Jim has been helping individuals, families, couples, and business owners navigate the complexities of the financial services world and discover the myriad of opportunities available to them. Jim McGovern and his team, are committed to working closely with our clients and empowering them to take action and close the gaps in their planning. Whether one-on-one or in a group setting with other couples, we believe our process is engaging and fun for clients. Lifetime Financial Growth is headquartered in Pittsburgh, PA and we work with clients throughout Pennsylvania, Ohio, West Virginia, and across the nation. Our other offices are located in Cleveland, Cincinnati, Columbus, Louisville, Dayton, and Morgantown. For more information about the coaching program or other services, please contact us today.